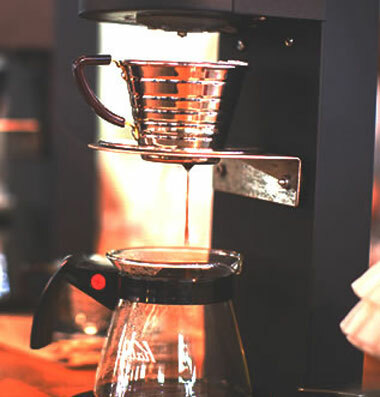 Today, we’re looking at a crucial, yet often overlooked, element of making coffee: the coffee grinding. When ordering specialty coffee, the consumer expects excellence. Coffee shops, restaurants, and hotels need to offer quality or risk dissatisfied customers. Yet while it’s easy to invest in good produce, and train baristas and waiters in customer service, all this will mean nothing if the coffee has been poorly brewed. How the coffee beans are ground will affect the flavours and aromas of the beverage. 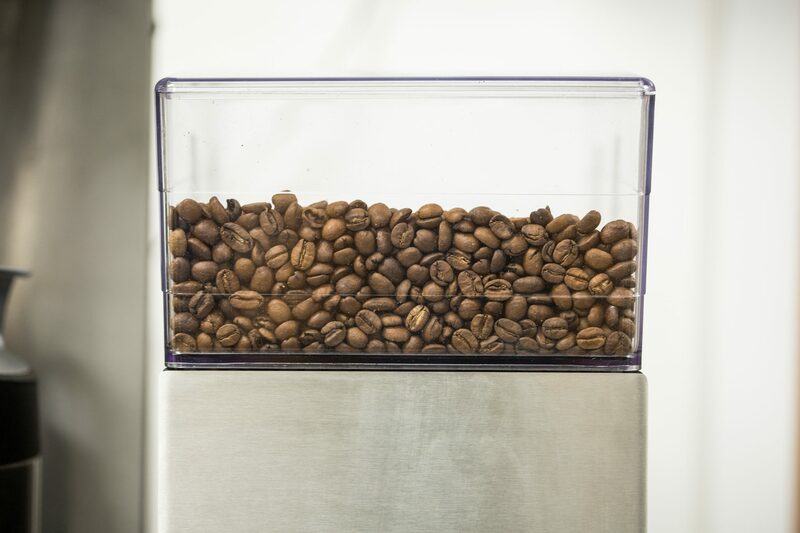 Even with a top-of-the-line coffee machine and great beans, if the grind is wrong, the beverage may taste bitter or sour. Precision brewing means paying attention to when the coffee was ground, the size of the grinds, and the quality of the grinder itself. Grinding Fresh: Why Does It Matter? It’s important to remember that coffee is an organic product, and all organic products are best served fresh. As soon as the beans are roasted, they begin degenerating. Grinding them speeds up this degeneration, since it increases the amount of contact the bean surface has with air. This means that flavour and aroma compounds are quickly lost – and the quality of the final beverage will suffer. Coffee cannot be ground ahead of time. A “golden rule” is to always brew within 15 minutes of grinding, yet we would advise using a much shorter time frame to reduce risk. For this reason, it’s critical that baristas and waiters are able to grind on-the-go. The problem is that different beans and different equipment might need different grind profiles, requiring baristas to change settings in service. The coarser the grind size, the more slowly compounds will extract (and, if using a filter brewing method, the quicker the water will drip through). Early in the brew, acidic-tasting compounds are extracted; later, sweeter ones; and finally, the bitter ones. To put it simply: use a grind size too coarse and you will have sour or even salty coffee. Use a grind size too fine and it will become bitter and hollow. But just right? It will be sweet, balanced and complex. However, dark roasts often have a more bitter profile than light roasts. East African coffees may have more sparkling acidity while Colombians tend towards balance and Indonesians body. Natural or honey processed coffees may possess more sweetness. As such, different coffees will suit different brew recipes and different grind settings. The head barista should be establishing these recipes. Yet Bryan Duggan, Manager in the Technical Department of specialty coffee roastery Counter Culture Coffee, reminds us that this recipe shouldn’t be set in stone. The time since roasting, he explains, is also important. Remember, the longer it’s been since the coffee was roasted, the more it’s degenerated. Older beans will be more porous and contain less gas. The head barista should be adjusting the grind settings to reflect this. What’s more, on humid days, the coffee beans may absorb additional moisture from the air. In hot environments, they may become more brittle. All these factors may require very subtle tweaks to the grind setting. Excellent coffee necessitates precision brewing. It’s not just the beans that can affect the ideal grind size. The equipment can too. Espresso will require a fine grind yet filter, depending on the brewing device used, may require a medium or medium-fine profile. Batch brewers and immersion may need coarser grind sizes still. 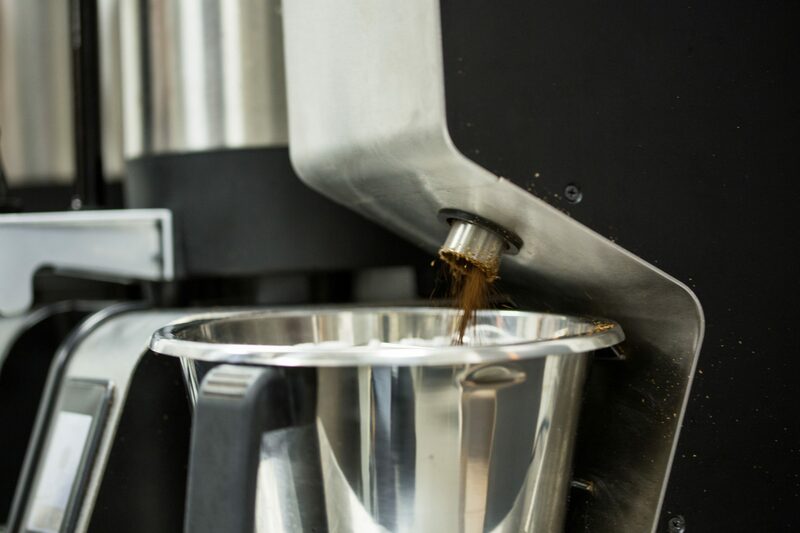 In other words, if a coffee shop, restaurant, or hotel plans to also offer more than one brew method, they will need to either invest in multiple grinders or be prepared to change the setting in service. Another thing to consider is the age of the grinder. As time passes, the burrs or blades will experience wear. Over time, the best grind setting will start to vary. The consistency might begin to suffer, too. And while the changes are gradual, if ignored, the impact the on beverage is immediately noticeable. It can be the difference between a satisfied customer and a three-star review. Precise, consistent grind settings are important – but how can staff effectively and efficiently change settings in service? With wait time playing an important role in customer service, a barista adjusting the grinder with every coffee could become a problem. Bryan had some advice for us. First of all, he says, “Be prepared!” Before the shift begins, he advises that baristas work out the best brew parameters. In particular, they should note the grind setting and water to coffee ratio they need for each drink on the menu. 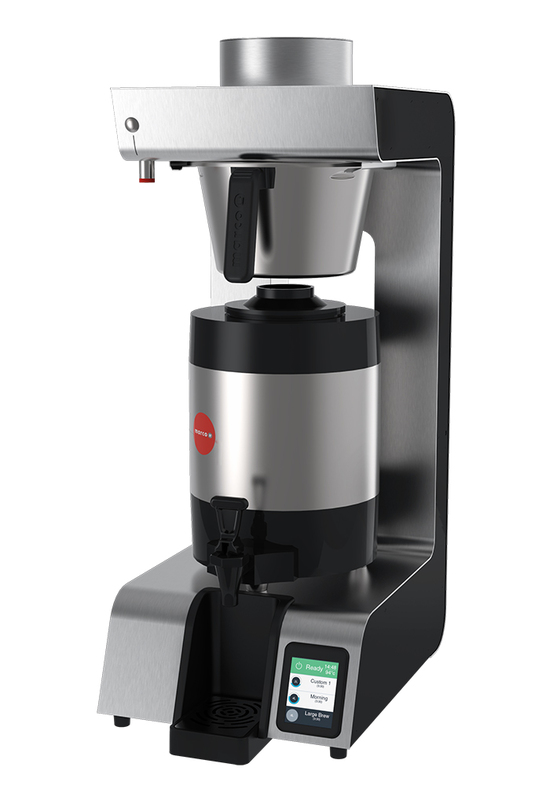 As for consistency, he says, “Making sure we have the right grinder to hit our standards will be very important.” Take the Marco JET 6-litre coffee brewer and JET grinder. Pairing these products allows the operator to set their preferred grind volume per litre of coffee, along with liquid lost ratio, and more. The brewer will also keep the coffee hot for up to six hours. Or, for smaller companies, the sleek single-serve brewer Marco SP9 allows staff to set the grind size, pre-infusion, pulse brewing, temperature, volume, and more. Controlling small details like this can dramatically decrease the number of errors made in service, while the level of automation here can also speed up a barista’s or waiter’s work. The result is better-quality coffee served with speed and consistency. Finally, regular grinder cleaning and maintenance is key. Cleaning the burrs will prolong their life and increase their performance; they will also need to be replaced periodically. Grind inconsistency, flat-tasting coffee, and of course dull burr edges could all signal that it’s time to invest in new ones. 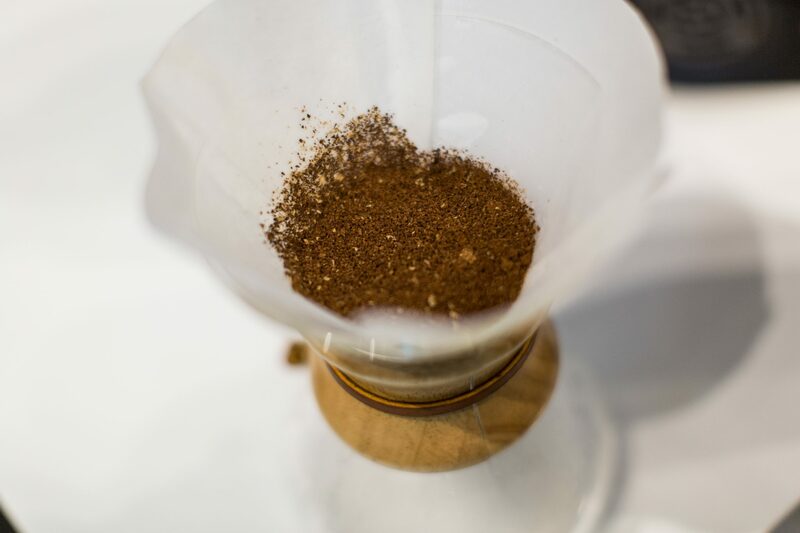 When serving high-quality coffee, grinding is crucial. Precise, consistent, and well-calibrated profiles should always be the aim. Key to achieving this is giving staff the training and tools with which to quickly and accurately change settings in service.